July 9, 2014 /in Athlete's Foot /by Jenn F.
Some people claim a vinegar foot soak can heal the damage done by athlete’s foot fungus. Foot Fungus and Fashion: Can You Contract Athlete’s Foot from Shoe Shopping? June 19, 2014 /in Athlete's Foot /by Jenn F.
Podiatrists are warning that shoe shopping has caused an uptick in cases of athlete’s foot and plantar warts. We’d all like to think that our feet have been the first to grace a brand new shoe off the shelf, but that’s wishful thinking. Seven out of ten women like to try before they buy shoes, so it’s very likely that not every shoe was a perfect fit. Most women try on several pairs of shoes before finding the ideal size, style and fit. May 29, 2014 /in Athlete's Foot /by Jenn F.
Athlete’s foot is an annoying malady, to say the least. It can also become costly to treat. 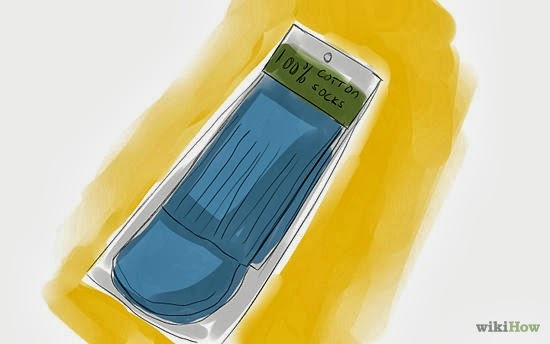 The cost of treating a bout of athlete’s foot can range from $9 to $85, according to Blue Cross Blue Shield of Tennessee. What you pay depends upon a myriad of factors, including the type of infection, the severity, the type of medication purchased, and where you buy it. Given the expense, it’s not surprising that many people would rather find an affordable home remedy for athlete’s foot than pay the pharmacist. Yet, you are probably wondering… are these treatments worth your time? There are many different products that can treat athlete’s foot fungus infections. May 22, 2014 /in Athlete's Foot /by Jenn F.
In America, topical creams and prescription drugs are the first athlete’s foot treatments that come to mind. However, Modelsa Plastik in Turkey is experimenting with the use of aerated shoeboxes to cut down on the athlete’s foot risk. Company CEO Abdullah Ayodogan said there are sanitary concerns with using cardboard shoeboxes, and that his new product uses air ducts to increase air flow inside the box and prevent the spread of athlete’s foot fungus. In some places, plastic shoeboxes are all the rage among shoe collectors. Foot Fungus Awareness: Can You Get Athlete’s Foot from Laundry? May 1, 2014 /in Athlete's Foot /by Jenn F.
A college student recently wondered just how contagious athlete’s foot can be. “We have a communal area in my dorm for laundry,” he wrote. “One of the guys here has athlete’s foot. Can I catch it from putting my clothes where he washed his clothes?” There is no easy response to this question, but we decided to explore this question further to give you the most scientific answer we could dig up. Athlete’s foot fungus can transfer from socks to other articles of clothing in the wash, say researchers. April 10, 2014 /0 Comments/in Athlete's Foot /by Jenn F.
The skin is one of the most sensitive parts of the body because it possesses so many sensory receptors. Millions of Americans suffer from some form of sensitive skin to a certain degree. Miami Dermatologist Leslie Baumann, MD, FAAD says that up to 50% of her patients suffer from sensitive skin, whether it manifests as acne, rosacea, stinging and redness, or contact dermatitis allergy. Personal care products are loaded with suspected carcinogens and irritating chemicals, so home remedies for skin conditions are a popular topic of interest on the internet. Whether you have acne or athlete’s foot, there are natural treatments for almost every type of skin condition. Do they work? Well, that is up to you to find out! Are you cursed with sensitive skin? If so, then a natural remedy for athlete’s foot may be in the cards for you. April 3, 2014 /0 Comments/in Athlete's Foot /by Jenn F.
Fungal infections manifest themselves in many different ways. A fungal skin infection is hard to miss once the tell-tale itchy, red patches arise. Athlete’s foot is a common fungal skin infection that is contracted from touching one’s bare foot onto a dermatophyte present in the environment. While our skin is teeming with dermatophyte organisms, they won’t do us harm unless there is a break in the skin’s barrier. Unfortunately, something as small as a cracked heel, a bent cuticle, an ingrown toenail, or a blister can be a way for pathogens to invade the body and cause sickness. What starts as a little bit of athlete’s foot today could become a widespread infection tomorrow. 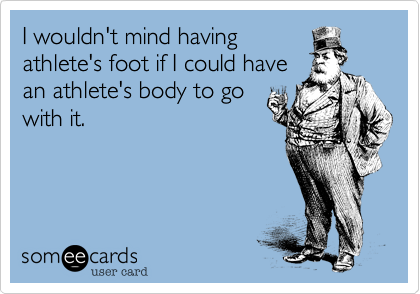 March 26, 2014 /0 Comments/in Athlete's Foot /by Jenn F.
Competitive athletes work hard to keep themselves strong and healthy enough to play in as many games as possible. They spend vast amounts of time lifting weights, running, skills training, and eating nutritious foods. However, the surface of the skin — particularly on the feet — can be an area many athletes forget to maintain. This negligence puts not only the athletes themselves at risk, but also their teammates, dermatologist Jeffrey V. Benabio, MD, FAAD, of Kaiser Permanente in San Diego tells Infection Control Today. 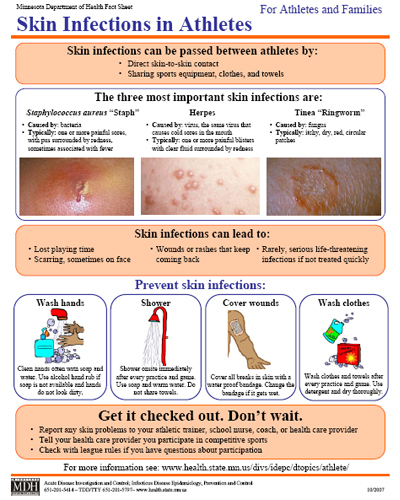 Learn how athletes can prevent skin infections at the SteriShoe Blog. 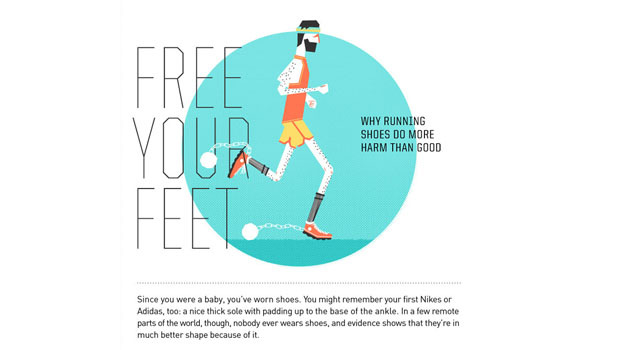 The Nature of Athlete’s Foot: Why Does Fungus Seem More Prevalent Among Runners? March 20, 2014 /0 Comments/in Athlete's Foot /by Jenn F.
Athlete’s foot is a broad term for a type of foot fungus. Anyone — even non-athletes — can catch it from the environment, but the fungus seems to be more prevalent among long distance runners in particular. “My daughter is a keen runner and she regularly suffers from athlete’s foot. What can she do to prevent it?” wonders a parent from Glasgow, Scotland, writing in to the Evening Times. Fortunately, the makers of SteriShoe, a UV shoe sanitizer, have the answers. Athlete’s foot attacks runners disproportionately because their feet are trapped in warm, damp shoes for such extended periods of time. March 6, 2014 /0 Comments/in Athlete's Foot /by Jenn F.
Athlete’s foot doesn’t just plague athletes. It can infect anyone who comes into contact with the type of dermatophyte fungus responsible for the itchy, red, burning patches. This common fungal infection is most prevalent in public areas, like locker rooms, swimming pools and showers — hence the “athlete” portion of the name — but it can also lurk in grass and on any hard surface. If you suspect you have come into contact with foot fungus, it’s best to apply an over-the-counter antifungal cream from your local pharmacy. We explore three ways to prevent this unsightly, uncomfortable foot condition. You can try to make light of athlete’s foot, but this irritating condition is no laughing matter!